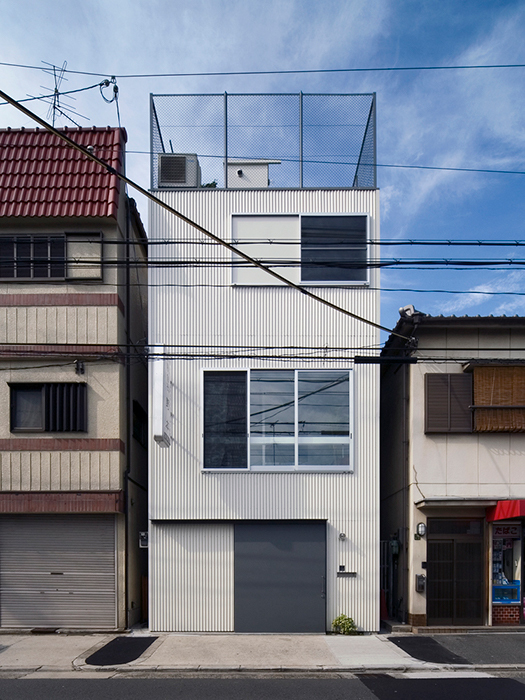 This site is located in a dense residential area, where the plots are heavily divided into narrow shapes. The east side of this site directly faces on the wide street, but the other three sides are contiguous to the walls of the neighbors. 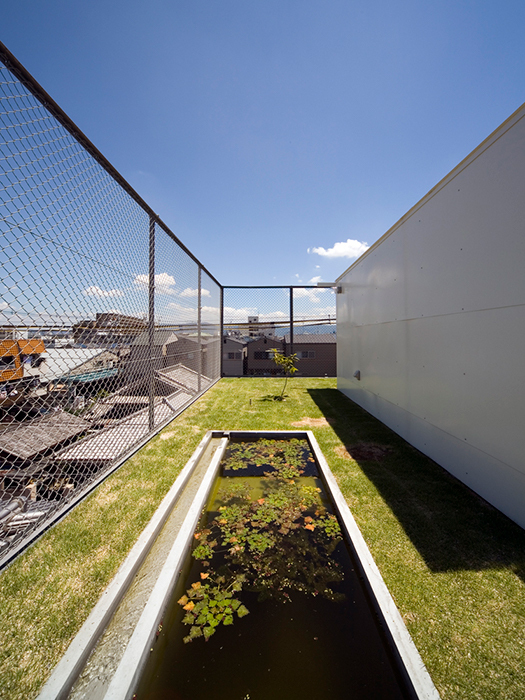 In this small site, a house for a family and a roof for a tortoise are designed. 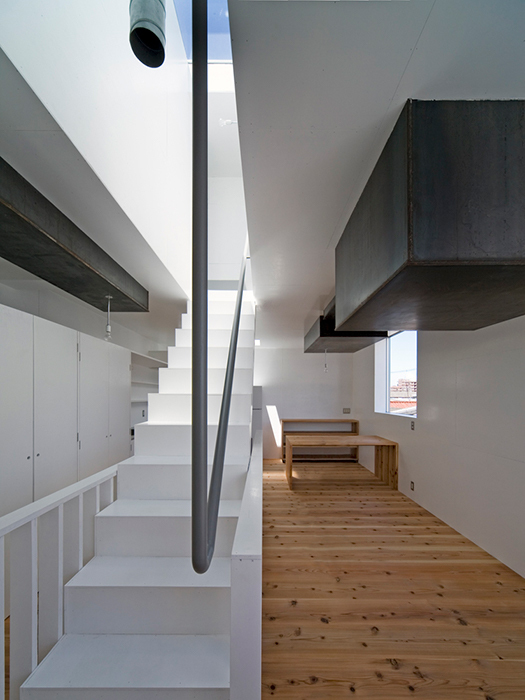 The house is a steel-frame structure and a simple building of three stories with equal floor to floor height. 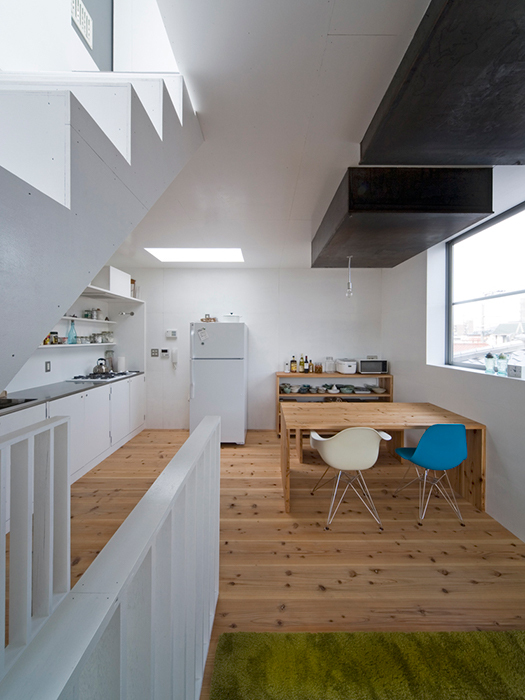 To secure the best of the floor space, the house was built to take advantage of the total area of its plot. 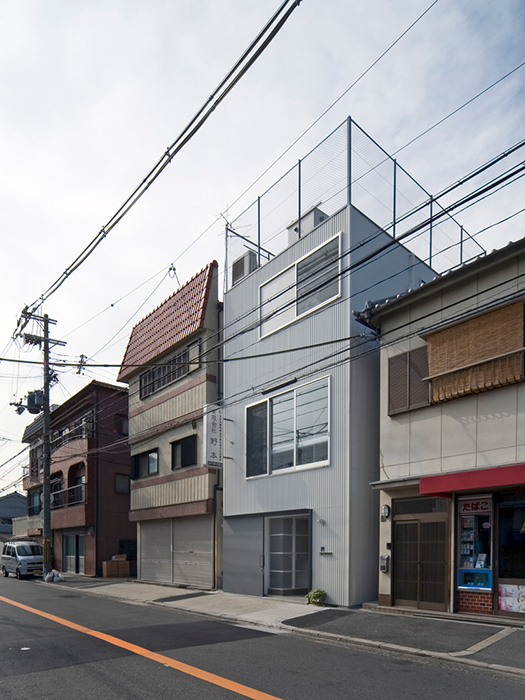 Windows were located on the side of the street view and, at the spectacular direction of the north side on the fourth floor; a skylight is situated to allow light, because there is little space between this house and the neighboring houses. 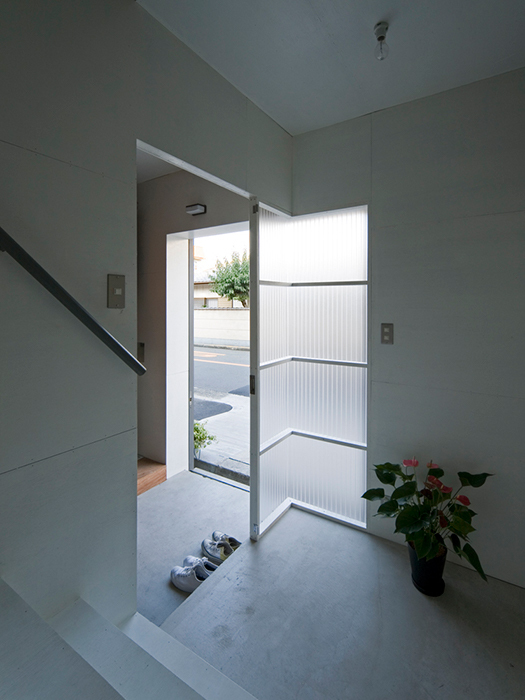 What is more, small windows for the ventilation were carefully placed to avoid conflicting with the neighbor’s windows. The lair of the tortoise, which was a necessary inclusion, is installed on the top of the roof. On the indoor room arrangement, the living room was built on the second floor, which has the best conditions for views and lighting. 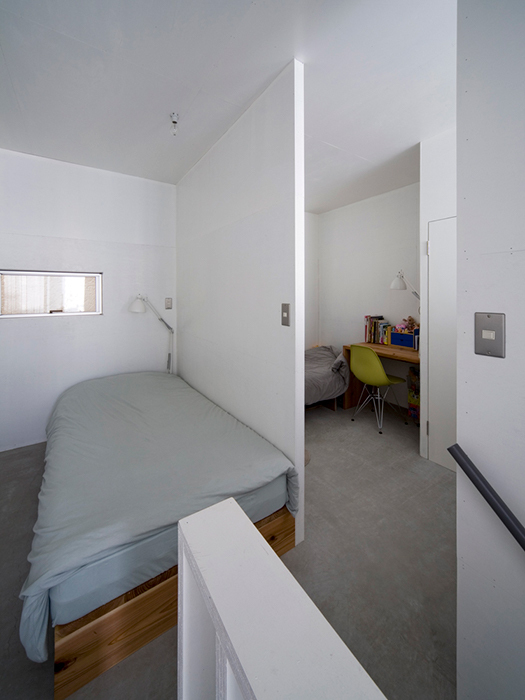 There is storage on half of the ground floor and on the other half there are a laundry and bathroom. It was necessary to set up three rooms, the bedroom and children’s rooms, on the first floor. So, according to the small size of the floor space, the rest of the necessary various functions are placed in the private rooms. 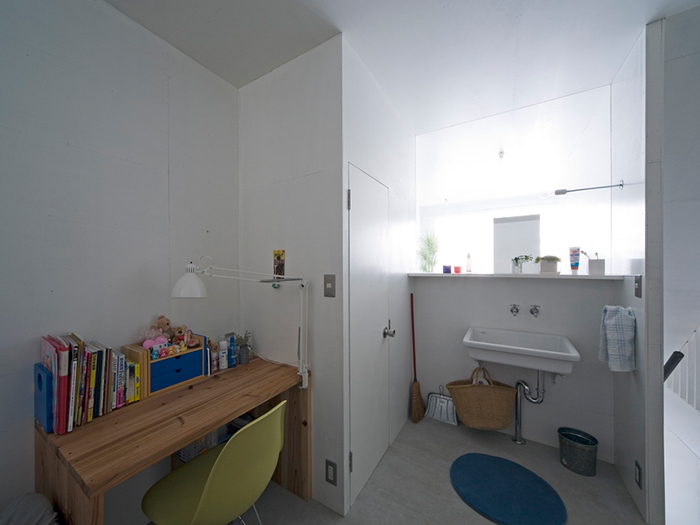 The bedroom and an inner terrace, the son’s room, closet and hallway, and the daughter’s room, the sink and the toilet are co-joined. 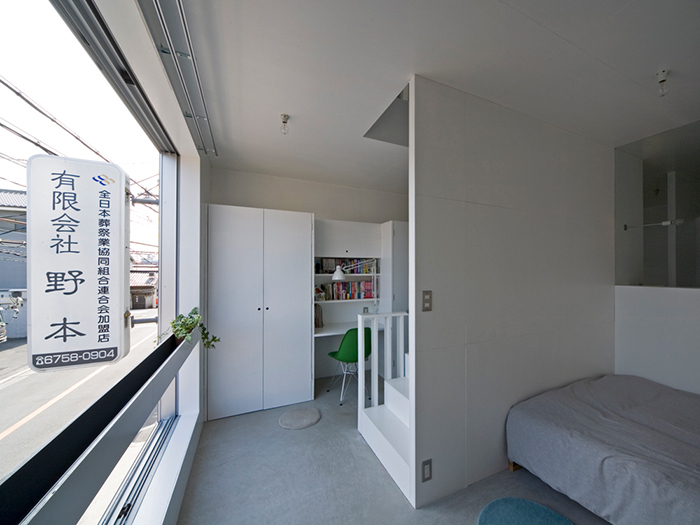 Those are not completely divided into separate rooms and each room has combined functions, so that it is more suitable to call them ‘Places’ rather than ‘Rooms’.In addition, each resident is able to move freely about the segregated open space. Hollows for a pond and tree, which needs some depth, are made to create the environment of the roof. In one hollow, water is filled in as a pond, and in another hollow, a tree with sand is planted. 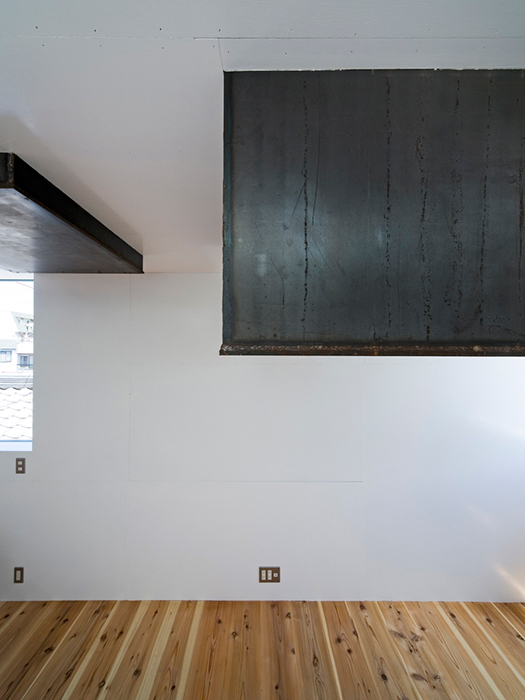 These hollows directly appear as projections on the ceiling inside the house, which are a reflection of the environment of the roof. The projections do not have any functions; they just appear as steel cubes on the ceiling. 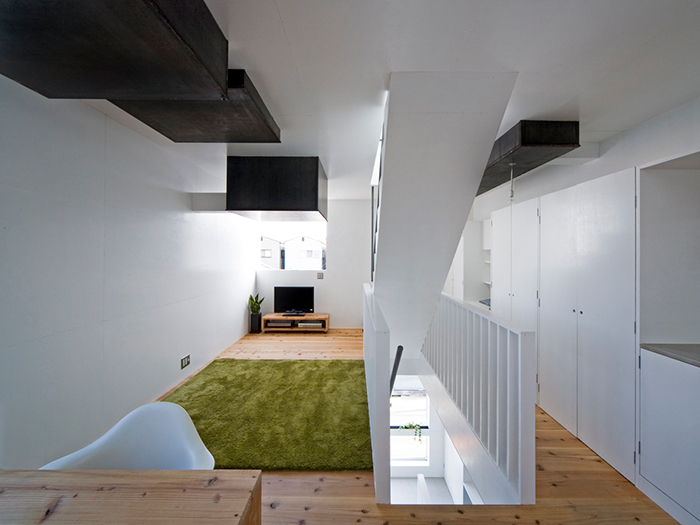 In this house, it is not important to bring the environment of the roof into the house directly, but it is essential to affect residents activities by suddenly appearing the projections as the back side of the overhead environment.